Children below the age of 7, all around the world, are spending 20%-30% less time in physical activities than the standard set by the World Health Organisation. As the age increases, so do the number of hours spent indoors. Therefore, physical activity and outdoor play, which are essential for motor development in children, have declined drastically. The advent of electronic means of entertainment has further turned the lifestyle of our children more sedentary than any of the generations before. Even in schools, more stress is given on academic performance rather than outdoor activities. This is definitely not a healthy way to raise our kids. We must provide them with adequate opportunities to indulge in outdoor play, and here are 5 of the many reasons why. Outdoor play is a crucial part of a child’s overall development. It allows them to learn to coordinate and control their bodily movements. This includes both gross and fine motor skills. 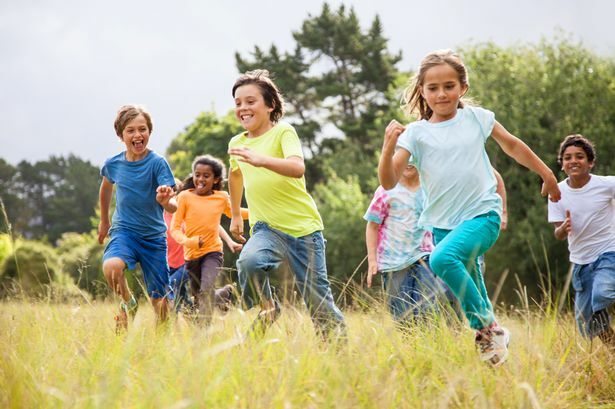 Further, active kids are more likely to have stronger muscles and bones. It is important to note that the full benefits of outdoor play can only be reaped if it is complemented by proper nutrition. You can rely on Enfagrow A+, the world’s No. 1 children’s nutrition brand for this. In addition to taking care of overall physical growth, this fortified milk powder also helps build immunity. As much learning takes place in the playground as in a classroom. Children get to practically experience nature and its laws, rather than just reading about them. Depending on the surroundings and the facilities in the environment, the child will get the opportunity to naturally respond to phenomena such as gravity, friction, heat, water, etc. Outdoor play isn’t just about physical activity, it is also about the chance to interact with peers. Outdoor games often require interaction with a group. Helping a friend by giving a slight push on the swing, playing make-believe games, catch and run, etc, all lead to the overall development of a child by instilling a sense of community as well as competition. In comparison to adults, children seem to possess an excessive amount of energy. It might not be possible for parents to match it at all times but suppressing it would have even worse implications. So, channeling such energy into outdoor gaming would be the most suitable way to help children explore their potential. We have been witnessing an increase in obesity among children all over the world and India is no different. Playing outdoors addresses this concern, since it involves a lot of physical activity and exercise. Fresh air and greenery have their own positive effects as well. Kids who play outdoors tend to be leaner and fitter. Moreover, they also sleep better and on time at night. There is a paucity of open areas for children in modern urban settings, but that shouldn’t stop us from allowing outdoor play. Any sort of outdoor play is better than none at all, given that motor development in children hugely depends on it.